The Sidebar: "Fanatical animal rights group" partners with the city of Little Rock, Arkansas Department of Health, and the University of Arkansas for Medical Sciences to promote veganism -- and I need an Arkansan to help me with FOIA requests! "Fanatical animal rights group" partners with the city of Little Rock, Arkansas Department of Health, and the University of Arkansas for Medical Sciences to promote veganism -- and I need an Arkansan to help me with FOIA requests! I consider PCRM to be a fanatical animal rights group with a clear cut agenda of promoting a vegan lifestyle and eliminating all animal experimentation. 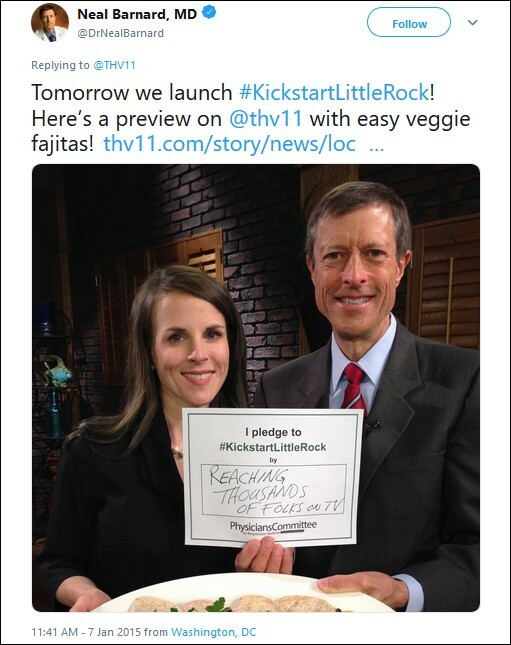 This is the first in a series of articles about Kickstart Your Health Little Rock, a campaign to encourage residents to adopt a plant-based diet. 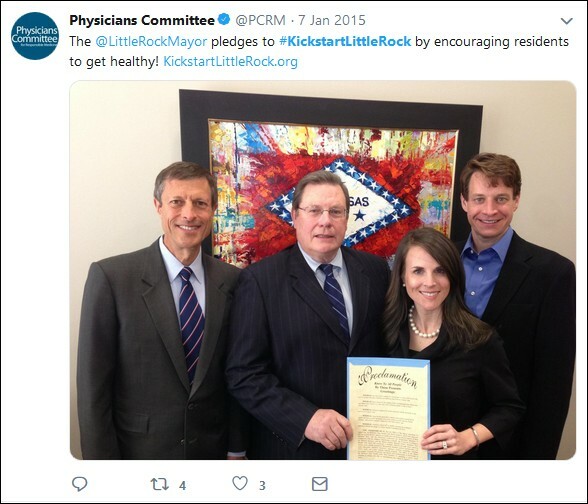 Developed by the Physicians Committee for Responsible Medicine, the program is endorsed by the University of Arkansas for Medical Sciences, the Arkansas Department of Health, Baptist Health Medical Center and the city of Little Rock. 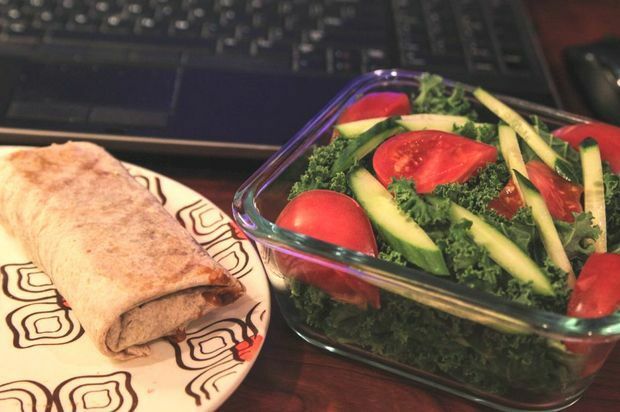 For some photos of the kind of meal plan that Mayor Stodola and the rest have in mind for Arkansans, don't miss How George Washington University’s Dr. Neal Barnard Eats for a Day by Melissa Romero, The Washingtonian, March 25, 2014. For my page about PCRM's 30-year relationship with my father; how the organizations turns a blind eye to the Heimlich Institute's notorious experiments in which patients suffering from cancer, Lyme disease, and AIDS were infected with malaria; and the reckless recommendation by Dr. Barnard -- whose background is in psychiatry -- that the Heimlich maneuver should be used to resuscitate drowning victims, click here. Calling all Sidebar readers! I need some help so I can report more about this. I've filed public records requests with the city of Little Rock, the University of Arkansas for Medical Sciences, and the Arkansas Department of Health, but under Arkansas's FOIA law, agencies are only required to respond to state residents, and at least one two of my requests has have already been rejected. If there are any readers with Arkansas addresses who are willing to file requests, please e-mail me.